I was scrolling through the Pitti uomo and Milan's mens fashionweek recap at school, while trying to focus on my project instead of those amazing menswear. I've been looking at all of the Dolce Gabbana ad campaign and fashion show since my history teacher brought this matter in the class. 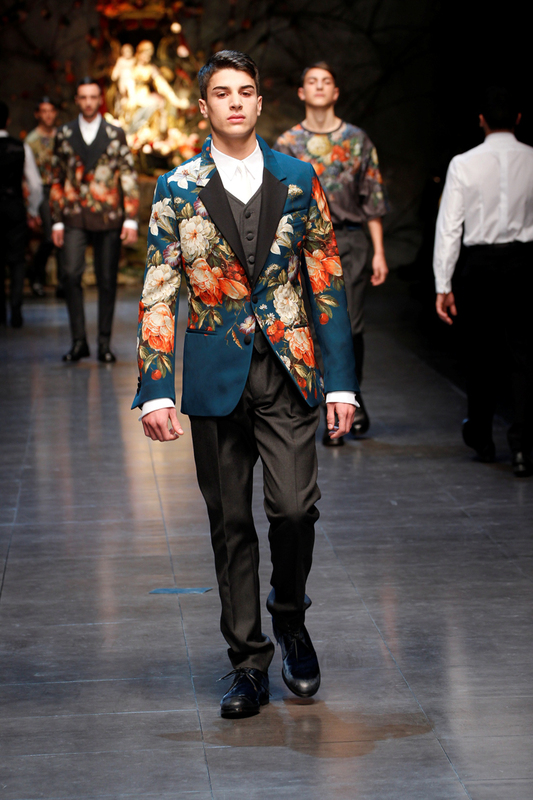 I salute Dolce & Gabbana for their courage to bring the sincerity back to the fashion world. Their collection seems honest but provocative at the same time. 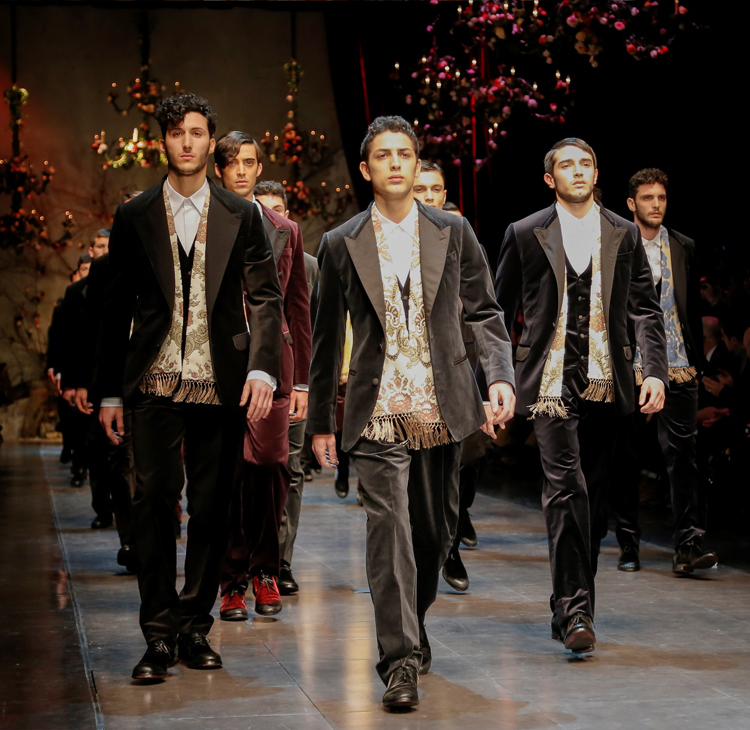 Their love to one of the most important region in Italy "Sicilia" were showed in this collection.The theme of the F/W 2013 collection is "Devotion" , devotion to tailoring, fashion, cut fabrics, details but most importantly, devotion to family, religion and love. Their collections was more intimate, sincere and somehow "real". 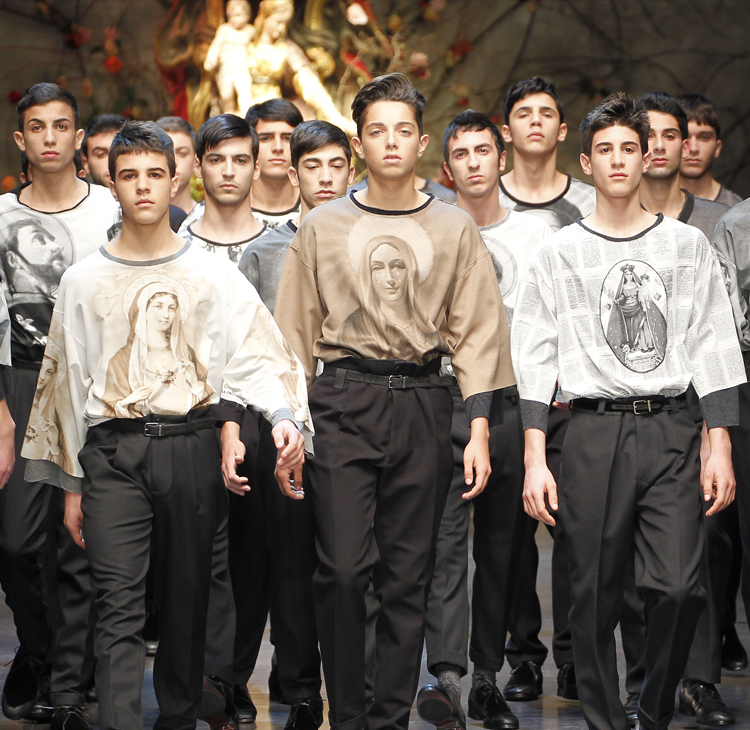 We can finally have a connection with the dreamy fashion world, and PLEASE i need those boy-top full of religious prints in detail ASAP. We will see many women wear em in the future for sure. 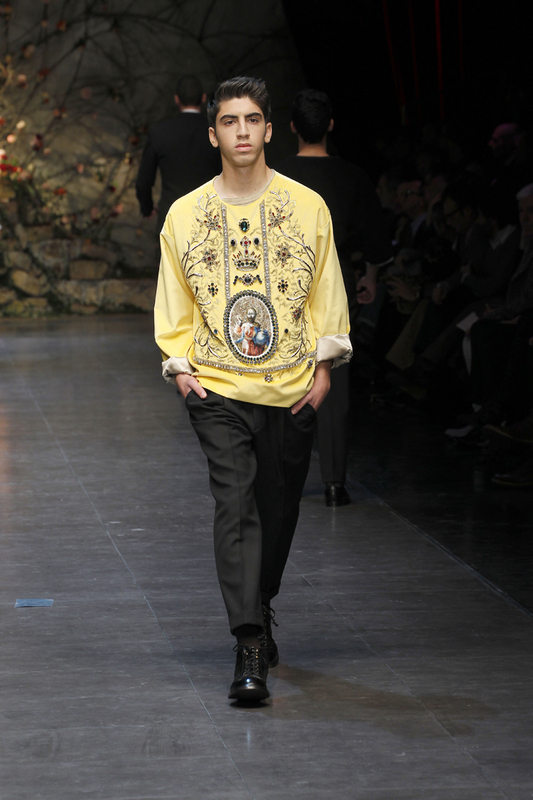 One of my most favorite piece from the show is this yellow bejeweled top and a prints of the saint. They keep the cut simple and clean, but the details are beyond amazing. I can't help but notice that all the models were Italian. I wish the Indonesian designers could do this too. what do you think? A collection full of Indonesian models like the old days. wish it could be happening soon.